Want the good news first? 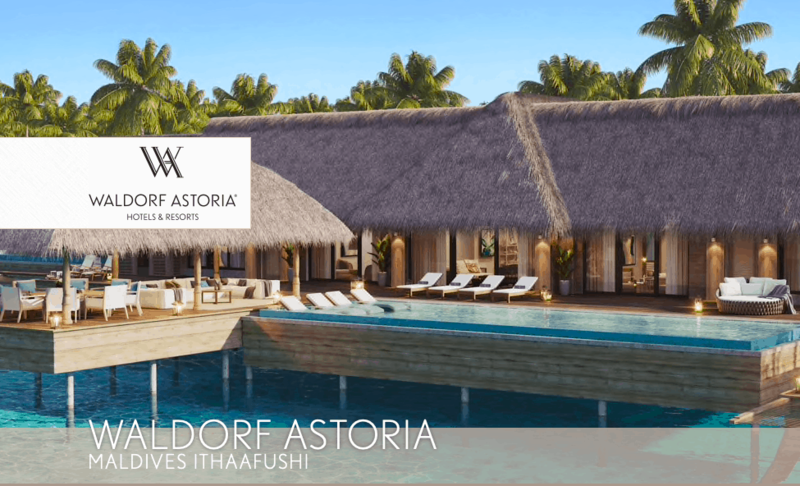 The brand new and gorgeous looking Waldorf Astoria in the Maldives is now accepting points bookings. I’ve been looking forward to this for some time as it looks to be a truly amazing luxury property for Hilton that is really worth saving your points for. Hilton has, in my opinion, historically been lacking in so-called aspirational redemptions, with the Conrad Maldives Overwater Villa one of the few that currently exist. My criteria for aspirational is one that is a) truly luxurious and b) a great value (well more than the average expected redemption value). This new property ticks both boxes with an average nightly room rate around $2,000 and redemptions of 120,000 points a night. The math, with 5th night free, means about $500 worth of points gets you a $2,000 room – or about 2 cents per Hilton point in value. And availability is wide open except for right between Xmas and New Years. It’s not even that hard to rack up the points you would need for a 5 night stay here, considering you can get multiple Hilton credit card signup bonuses, like the Hilton Honors Credit Card from American Express (Learn More), Hilton Honors Ascend Credit Card from American Express (Learn More), and the Hilton Honors American Express Business Card (Learn More). But you said there’s “Bad News” and this sounds fantastic? It is – maybe. The thing is that before today, no Hilton property cost more than 95,000 points a night. Despite the disappearance of an award chart, this has previously held true. So what we don’t know now is if other properties will join the 120,000 point a night club. 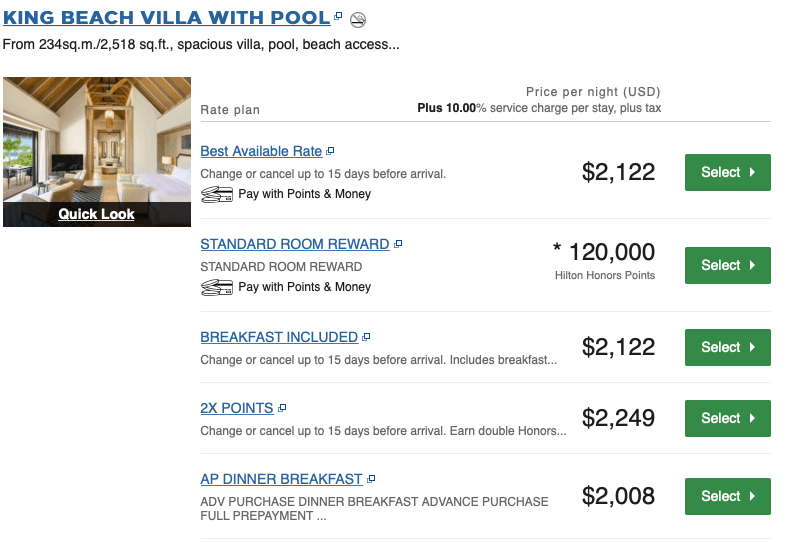 If other hotels, like the Conrad Maldives, push up from 95k to 120k that would be more than a 20% devaluation in points for aspirational stays. Without official word from Hilton Honors on this “new category” we don’t yet know what this means – but I’ll be watching closely. I’ll also be saving up a few extra points so I can stay at this hotel. 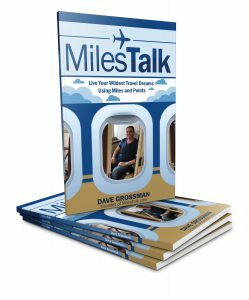 Truth is – I had about 400k banked expecting to book this at 95k and I’m a bit short now! It’s worth noting that Gary at View from the Wing reached out to Hilton and got confirmation that no other Hilton family hotels would be moved to the 120,000 point tier at this time – but of course, that doesn’t mean it won’t happen sooner or later (probably sooner). HT to OMAAT for reporting about the points availability opening up.